Home ANS Reports	Why Do Celebrities Fascinate Us? Why Do Celebrities Fascinate Us? LOS ANGELES, CA (ANS – July 21, 2017) — From the Oscar’s red carpet to the tabloids lining supermarket checkout lines, celebrity obsession is everywhere. Even the most casual moviegoer might find him or herself flipping through a slideshow of Academy Award fashion after the big event. So why do we fixate on celebrities? That is the question posed by Stephanie Pappas, Live Science Contributor at https://www.livescience.com. (We could be cynical and say that it is because “most men live lives of quiet desperation,” a quote attributed to naturalist Henry David Thoreau who, in an attempt to avoid that kind of existence, lived alone from 1845 to 1847 in the woods of Walden Pond, Massachusetts). In her online article, Pappas says that in most cases, it’s perfectly natural. “Humans are social creatures, psychologists say, and we evolved — and still live — in an environment where it paid to pay attention to the people at the top. Celebrity fascination may be an outgrowth of this tendency, nourished by the media and technology,” Pappas writes. Even hunter-gatherer societies in which material goods are relatively scarce have status hierarchies, said Daniel Kruger, an evolutionary psychologist at the University of Michigan. Other primate species also keep a close eye on the dominant individuals in their groups. Whether Brad Pitt is on good terms with his ex, Jennifer Aniston, isn’t likely to affect the average person’s life one way or another, of course, but the social tendency to care is deeply ingrained, Kruger said. According to Pappas, stars and the media exploit this tendency. Celebrities give interviews, share juicy information about their personal lives, and even engage directly with fans on sites such as Twitter. The result is that “parasocial” relationships — the psychological term for the kind of one-sided relationships fans have with stars — are easier than ever. Much celebrity obsession is intentionally cultivated, Kruger said. Talk show hosts, for example, try to foster a personal connection with their audience. “It’s savvy marketing,” Kruger said. Most of the time, caring about celebrities is no big deal, Pappas says. Even for some obsessed fans, celebrity worship can provide a social outlet they wouldn’t have otherwise had, Fischoff told LiveScience. For the seriously shy, celebrity fandom can act as a “psychological prosthesis,” he said. Pappas says there are lines, though. Houran and his colleagues found that it’s too simplistic to divide fans into casual, healthy types and wild-eyed stalkers. In fact, celebrity worship is a continuum, Houran told Live Science. “The bad news is, there’s a stalker in all of us,” he said. When celebrity worship goes overboard, it usually starts out benign, Houran said. People enjoy the escapism of celebrity gossip and bond with others over a favorite star. Next, there’s a shift. 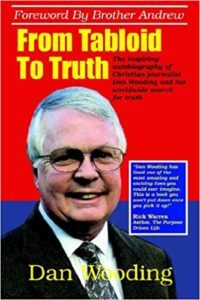 The person starts thinking of the celebrity constantly, withdrawing from family and friends. Addictive and compulsive behaviors come into play. Personality plays a role in pushing people along the path to celebrity stalker-hood, Houran said. People who are egocentric or who have personality traits such as irritability, impulsivity and moodiness are more susceptible. The environment matters, too. People are more susceptible to over-the-top celebrity worship when they’re in a phase of identity adjustment. If a person is going through a divorce, loses a job or is having relationship problems, celebrity obsession may be a life raft they cling to. Pappas says this identity factor may be why teenagers are so susceptible to worshipping Justin Bieber or their favorite sports star. Younger people, who are still establishing their identities, are more susceptible to celebrity obsession, Houran said. But, as Karen Covell of the Hollywood Prayer Network (www.hollywoodprayernetwork.org) notes, celebrity fascination can go too far. In an email update to ministry supporters, Covell said: “HPN is currently praying for two members of our community who are struggling with the invasion of stalkers in their lives. Karen is a producer, co-owner of Joint Effort — a film production company, and co-owner with her husband Jim, of JC Productions — a music production company. As Founding Director of the Hollywood Prayer Network, Karen Covell also speaks and teaches around the country to people of faith, encouraging them to not hate Hollywood or boycott its products, but instead to pray for the people in the entertainment industry. She is also a published co-author of two books with her husband Jim and their writing partner Victorya Rogers, entitled, “How To Talk About Jesus Without Freaking Out” (or the young people’s version, “The J Bomb”) and “The Day I Met God,” all available at www.Barnesandnoble.com, www.Thrillinglife.com, and at www.Amazon.com. Karen lives in Los Angeles with her husband Jim and her two sons, Cameron and Christopher. Photo captions: 1) Halle Berry on the red carpet at Oscars 2017. 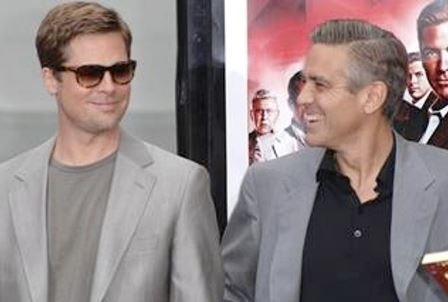 2) Brad Pitt and George Clooney. (FeatureFlash/Shutterstock.com). 3) Karen Covell. 4) Michael Ireland. ** You may republish this or any of our ANS stories with attribution to the ASSIST News Service (www.assistnews.net). Please also tell your friends and colleagues that they can get a complimentary subscription to ANS by going to the website and signing up there. Assist News exists to inform, educate, and inspire by distributing news about what God is doing in the USA and globally. Isibingelelo (Welcome) — the Africa Study Bible is launched in South Africa! Team triumph after calling God’s number!